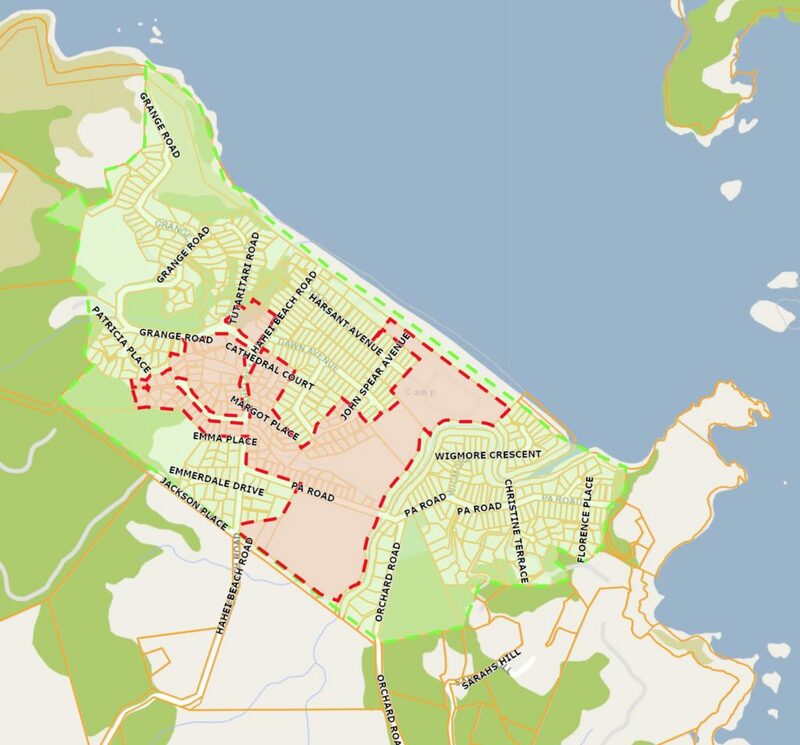 Wastewater in Hahei is made up of two sources – Storm water/General run off and Sewage. On this page, we present background information on both. Wigmore – The Wigmore Stream and its tributaries originate towards Link Road, and flows down past the sewage treatment plant before discharging into the ocean at the southern end of Hahei Beach. The Wigmore receives run from farms. 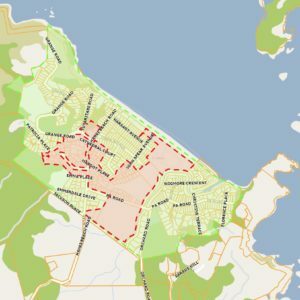 treated sewage, and storm water in Hahei Village. Tutaritari – The Tutaritari Stream originates in the valley behind Grange Road, then flows over farm land, through Hahei Village, and discharges on to the middle Hahei Beach near the Beach Car Park. 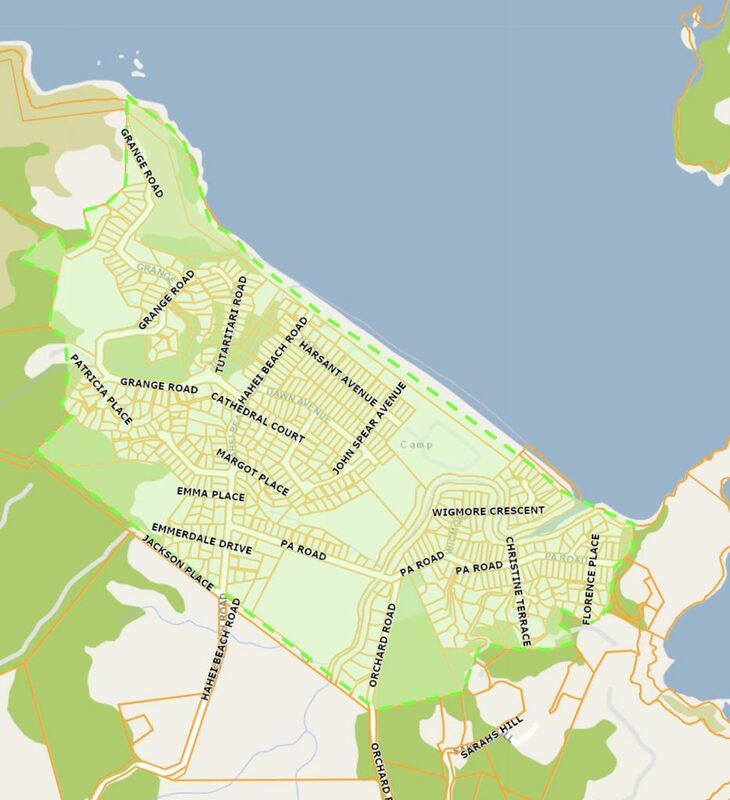 TCDC is responsible for managing storm water in Hahei Village in the area within the green dotted line shown on this map. For more details go to click here. Hahei has a TCDC operated municipal sewage system that provides sewage treatment to 140 properties in Hahei. The area covered shown in the map. Click here for more details. 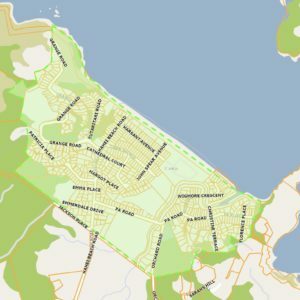 The area of Hahei not covered by the TCDC sewage treatment plant has a variety of treatment plants, depending on when the property was developed. Older properties have septic tanks, while more recent builds have modern onsite sewage treatment plants. In accordance with the Resource Management Act (RMA) the Waikato Regional Council (WRC) has responsibility for monitoring our coastal environment, including stream run off into the ocean. When discharge consents are issued to organisations such as Thames Coromandel District Council, monitors discharge quality and produces reports annually on specific plans. 2018 Report Veolia 2018 Hahei Wastewater Treatment Plant Report. 2018 Detailed Data Spreadsheet 0417 0318 Hahei WWTP Annual Report 135636.